Ernesto Ruffo Appel (born June 25, 1952 in San Diego, California, U.S.) is an American-born Mexican politician famous for being the first elected state governor not affiliated to the Partido Revolucionario Institucional (PRI) since that party’s inception in 1929. His parents and grandparents are Mexican-born. Ruffo attended elementary school in the coastal town of Ensenada in the state of Baja California. He attended college at the Monterrey campus of the ITESM graduating with a bachelor's degree in business. He became a member of the National Action Party (PAN) in 1982 and was elected municipal president of the municipality of Ensenada (the biggest municipality in Mexico with 51,952 km²) in 1986. In 1989 he was elected governor of the state of Baja California in major upset. In the year 2000, he supported the candidacy of Vicente Fox, former President of Mexico, he was the Coordinator of Migration Affairs for the Northern Border until 2006 (when president Fox's government ended). He is currently a Senate supply in the LX legislature. He has been accused of using his previous political positions to promote businesses in which he has personal investments. ^ Zeta, #1690, Los negocios de Rufo (sic). Ruffo at the Mexico´s Senate official website. Abelardo Rodríguez Luján, commonly known as Abelardo L. Rodríguez was the interim president of Mexico from 1932–1934. He completed the term of Pascual Ortiz after his resignation, during the period known as the Maximato when former president Plutarco Elías Calles held de facto political power. Ensenada is a coastal city in Mexico, the third-largest in Baja California. Lying 125 kilometres (78 mi) south of San Diego on the Baja California Peninsula, it is locally referred to as La Cenicienta del Pacífico, "The Cinderella of the Pacific." 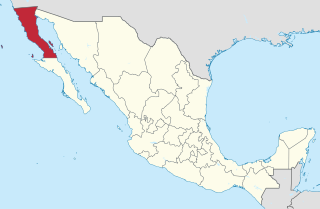 Baja California is a state in Northwest Mexico that is divided into five municipalities.. According to the 2015 Mexican Intercensal Survey, Baja California is the 13th most populous state with 3,315,766 inhabitants and the 12th largest by land area spanning 73,290.08 square kilometres (28,297.46 sq mi). Jorge Hank Rhon is a Mexican businessman and owner of Mexico's largest sports betting company, Grupo Caliente. He served from December 2004 to February 2007 as the president of the municipality of Tijuana. He is the son of former Mexico City mayor Carlos Hank González and Guadalupe Rhon. Hank is the father of professional tennis player Tigre Hank and of Matador Alejandro Amaya. 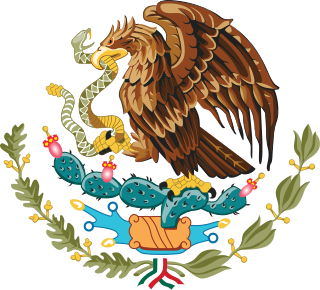 The Governor of Baja California represents the executive branch of the government of the state of Baja California, Mexico, per the state's constitution. The official title is "Free and Sovereign State of Baja California", and the position is democratically elected for a period of 6 years, and is not re-electable. The governor's term begins November 1 of the year of the election and finishes October 31, six years later. 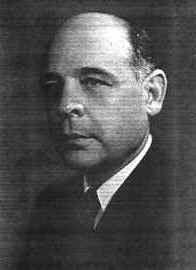 Luis Héctor Álvarez Álvarez was a Mexican industrialist and politician. Álvarez was a member of the National Action Party. In 1958 he was a candidate for the Presidency of Mexico. He has also served as Mayor of Chihuahua, president of his party and was the coordinator of the dialogues for peace in Chiapas. Local elections were held in the Mexican State of Baja California on Sunday, August 5, 2007. According to the preliminary results program, José Guadalupe Osuna Millán of the Alliance for Baja California (APBC) was elected governor by a 7% margin over candidate Jorge Hank Rohn of the Alliance for a Better Life (APVM). Results for APBC in municipalities and congressional seats were better than expected including victory for mayor of Tijuana which Jorge Hank Rohn's occupied previous to the electoral campaign. José Guadalupe Osuna Millán is a Mexican economist and politician member of the National Action Party (PAN) who served as Governor of Baja California. Punta Colonet, 115 km south of Ensenada on Mexican Federal Highway 1, 30 km north of Camalú, Baja California, is one of the most productive agricultural areas in Mexico's Baja California peninsula. Technically, it is a geographic feature, a cape, but the area has two communities: Ejido México, and Ejido 27 de Enero, on opposite sides of the Colonet Creek, part of Ensenada Municipality. Its proximity to Mexican Federal Highway 1 and the United States have spurred the growth of large commercial farming in the area. The point, nearby town, bay, and cape are reputedly named after Captain James Colnett, a British sea captain who explored this section of the Pacific coast in the late 18th century. There has been tremendous growth in the region over the last five years. The population has grown from 2,346 in 2000 Census to 3,278 in 2010 Census for Ejido Colonet, with 27 de Enero home to 474 people in 2010. The Autonomous University of Baja California is a public institution of higher education in the Mexican state of Baja California. UABC is one of the 43 state universities throughout Mexico as part of the country's state university system. Its headquarters are located in the city of Mexicali.